Off The Track - The regions best Havelock North Restaurant & Licensed Café - is the perfect retreat for a casual meal, a drink with friends or a delicious coffee. We offer a wide range of dishes to suit all tastes and budgets – including our ever popular breakfast menu, starters and snacks for smaller appetites and a just for kids menu. We love to use fresh, local produce, including herbs from our own garden, and showcase the boutique producers of beer, wine and coffee that Hawke’s Bay is known for. We are a family-friendly Hawkes Bay restaurant located between Hastings and Havelock North with expansive decking and a fantastic outside playground. We are also a popular venue for corporate event functions and host several business and networking groups. At Off The Track there is a place for everyone. As anyone who has eaten at our Havelock North Restaurant will know, we have an incredibly extensive range of menus. Our featured menu right now is all about Burgers. With our range burgers we have something to suit everyone. 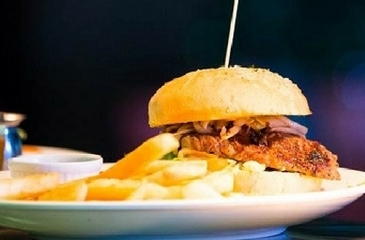 And with favourites such as the "Peri Peri Chicken Burger", the "Fish Burger", the "Veggie Burger", and a range of prime topside beef burgers including the "Backpacker's Huge Burger", we can promise you'll be spoilt for choice. Looking for Havelock North accommodation too? More than a just a restaurant - we offer Havelock North accommodation too, We have three cottages nestled amongst the mature trees adjacent to Off The Track Restaurant & Licensed Café and just a few minutes walk from Havelock North village. 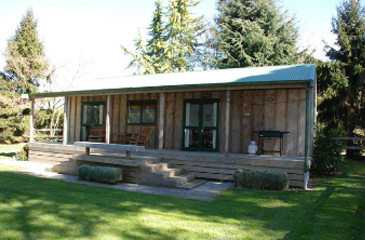 Convenient, secluded and with a country atmosphere – we invite you for a relaxing stay at Off The Track Cottages. Remember us next time you or your friends are looking for accommodation in Havelock North. 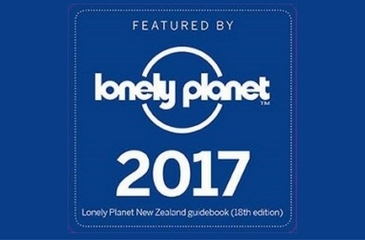 We must say we were more than a little proud to find out we are included in Lonely Planet's 2017 New Zealand guide. We'd like to say a big thank you to all our friends and fans who have helped get our Havelock North Restaurant on the map, whether it be by leaving a review, telling your friends, liking our page on Facebook, or just coming in to eat and keeping us in business. THANK YOU EVERYONE!